Our field trip to see Frog and Toad is coming up so quickly! We’ll be seeing the show November 30 at 12:30 PM. 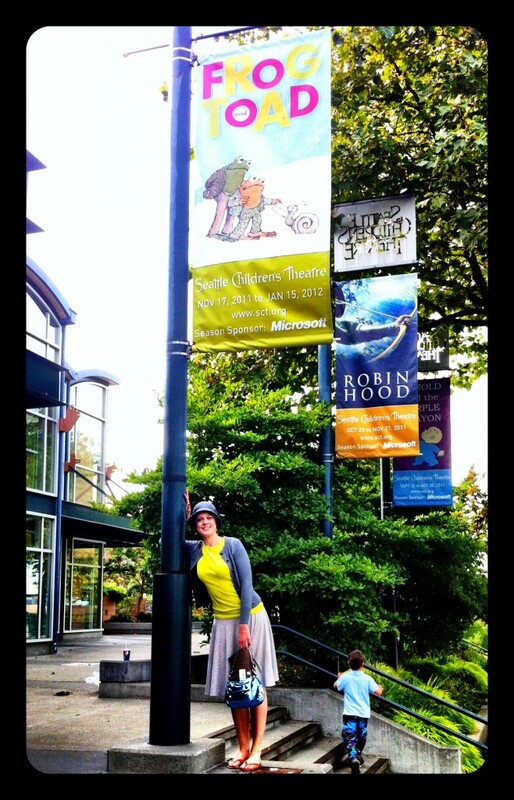 I was downtown today and posed for a picture with the banner outside Seattle Children’s Theatre. Fingers crossed the weather is nice to us when we go!